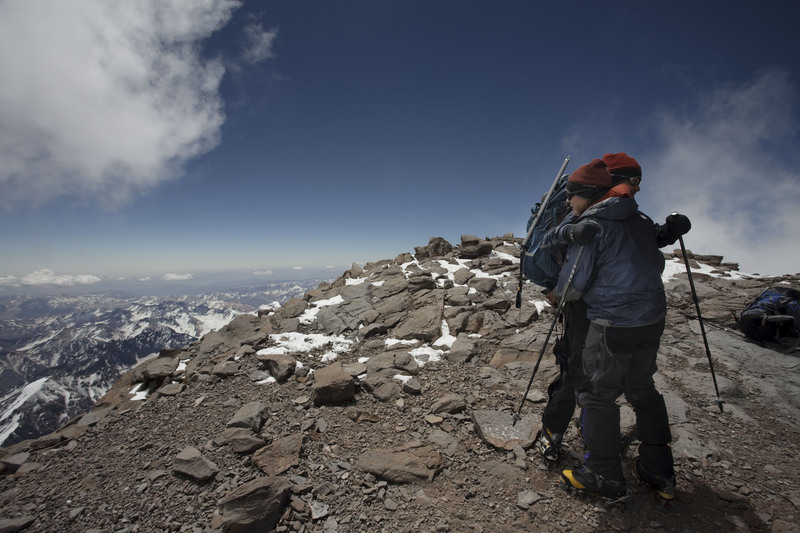 The Seven Guanacos successfully summit Aconcagua! Hi, this is Matthew Emht calling in for The Seven Guanacos on Aconcagua. Today is Monday, December 30th and the entire Team is sitting up on the summit! We got 100% summit success of all seven of us and…everybody is doing good… (transmission choppy then cuts out).